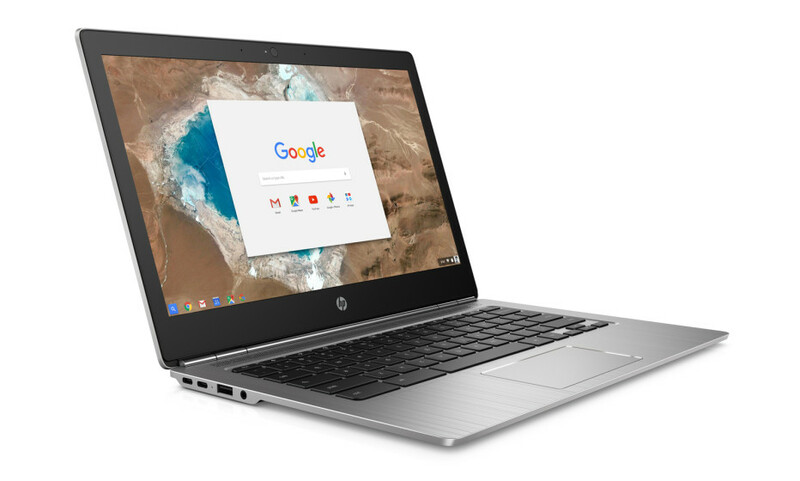 HP has unveiled a new notebook that carries the Chromebook 13 brand name. The device first surfaced on HP’s web site a week ago, carrying some interesting tech specs but there was no more information on it back then. Now everything is official and this is great news. So the new Chromebook 13 by HP is a small-sized notebook, designed for business and office work and then more. The device is housed in an all-metallic chassis and carries a 13.3-inch display, which is hardly a surprise given the name of the notebook. The Chromebook 13 measures 320 x 218.4 x 12.9 mm and weighs 1.38 kilograms, which is very close to 3 pounds. Inside it has the latest 6th generation Skylake processors by Intel. The cheapest model, for instance, is based on the Intel Pentium 4405Y processor and offers 4 GB of RAM. A more expensive version comes with an Intel Core M-6Y30 processor and then you also get a model with a Core M5-6Y57 processor and 8 GB RAM. The most powerful configuration of the Chromebook 13 carries an Intel Core M7-6Y75 processor and 16 GB of RAM. Again, depending on the version the display of the Chromebook 13 can either work at Full HD resolution or at 3200 x 1800 pixels. In all cases, however, the notebook has 32 GB of internal eMMC memory for files and programs. In addition to this there are two USB-C 3.1 ports and a single USB 3.1 port as well as a 45 watt-hour battery that promises to last for up to 11.5 hours. The Chromebook 13 starts at USD 499 for the slowest configuration (Pentium 4405Y and 4 GB RAM) and goes up to USD 1029 for the model with an Intel Core M7-6Y75 processor and 16 GB RAM. The two mid-range versions sell for USD 599 (Core M3-6Y30, 4 GB RAM) and USD 819 for the version with an Intel Core M5-6Y57 processor and 8 GB RAM.